Hello everyone! 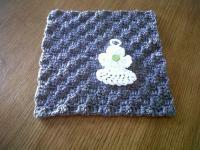 I'm deciding to begin a comfortghan for my friend, Shelly. Recently she lost her sister and father, both to brain cancer just 8 weeks apart! She's so very sweet and could definitely use some comforting. 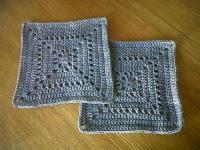 I've donated awareness jewelry to her, but the idea of a 'ghan seems to keep jumping into my mind. I'm totally sure she would love to have a soft, cuddly blanket to hold on to. The awareness color for brain cancer is dark gray. I'm in need of 10in squares in any shade of gray, but preferably darker. 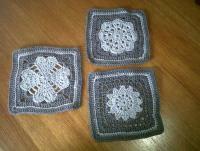 Any pattern, any acrylic yarn. PM me with any questions or the address. TY all in advance should you be able to help me. I'd like for the finished 'ghan to be at least 50 x 60 inches. Shoot me a PM with your address and I will send you one or two squares ASAP!!! Sending lots of prayers to your friend! How sad! As a brain tumor survivor this really hits home. Please send me a PM with your addy. I have 2 sqs ready to send you this week. My thoughts and prayers are with your friend. I can send a couple of squares. Please send address. 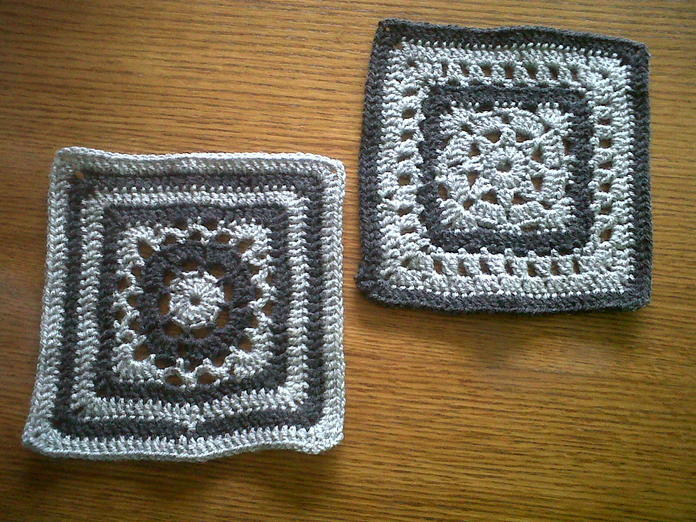 Two squares went in the mail today! 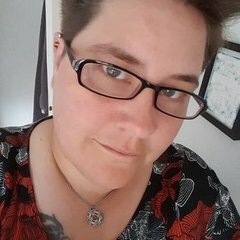 :hugPlease send me your address and I'll see what I can do. It's such a sweet thing for you to do:) I know I have gray yarn here some where. In the mean time, I'll be looking for it, lol. I can get a square to you! I have a skein of really pretty (and soft!) gray yarn in my stash! PM me your address and I'll get on it ASAP. I'm actually just heading out to get some yarn now so I'll pick up some in a nice a grey. Received these 2 beautiful squares today! You're very welcome! I'm glad I could help.. 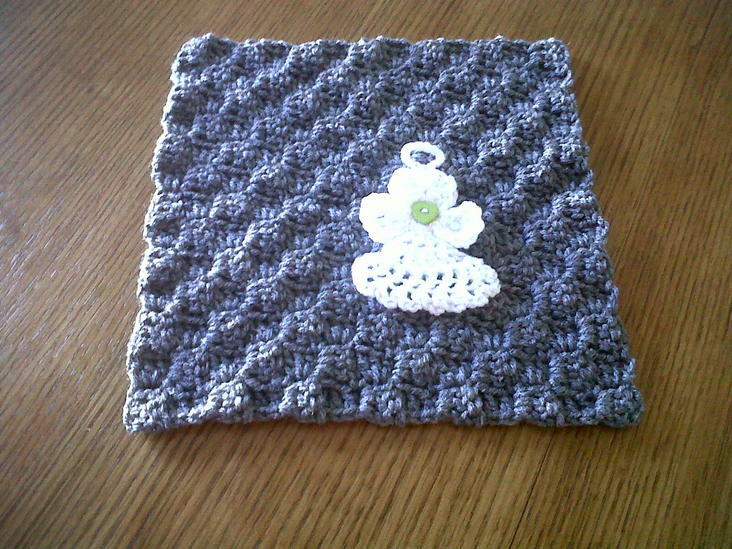 Thank you Tammy for the gorgeous square & angel magnet! I wish I had read this before I spent my few dollars on yarn and I would have picked up some dark grey. I do have light grey if that's ok??? You can PM you address to me if so and I'll get them done and out to you. 3 amazing squares from Washington state came today! You're all so very kind & generous to help me with this! Oh I can't wait! Thank you already! And yes, let's hope that they don't make me wait an eternity! These will be on the way to you this week. As we discussed purple represents all cancer. 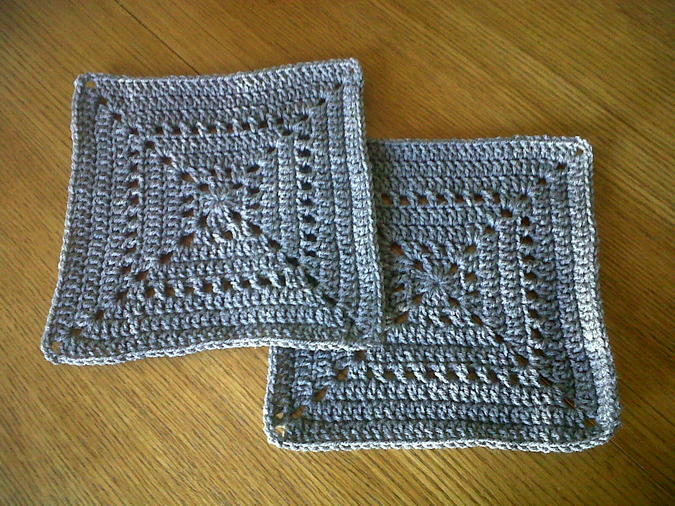 Hope you have enough squares soon to complete your afghan. I can't wait to see it. Do you still need squares? I cannot remember if I had mentioned helping Things have been very hectic here lately. Yes, I'm still in need of squares! I've received 10 so far, with some supposed to be in the mail headed this way. But I'll need 15-20 more to have enough. I'm going to try and make a pillow also. I've got about a month to gather as many as I can because it's my intention to have it all ready and wrapped in time for Christmas. 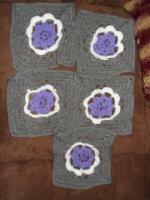 That should give me time to try several layouts, sew them all together, wash & block it. Those squares with the purple in the center are fabulous! They're going to make it really stand out! Thank you so much! I can't wait to get them! My squares went to the post office yesterday. Peggy I'll start stalking the mailbox! 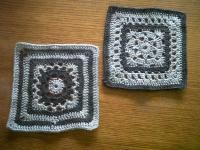 I received 2 amazing squares from Skoggy today! I'll upload the picture tomorrow. They're oooh so pretty! TYVM Skoggy! You are most welcome! I'm glad they reached their destination ok and that the post didn't take that long. They are amazing squares Skoggy!